Australian stylish cricket player Ricky Ponting Scored Double Century in the 4th Test match Cricket at Adelaide Oval jan 24 2012, Ponting scored 221 runs from 404 balls with the help of 21 Boundaries. 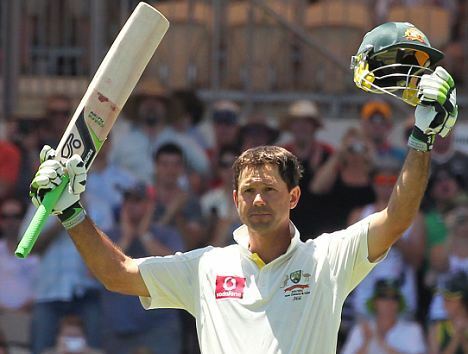 This is ponting's 6th double century in the test match cricket, and it also the 3rd double century against India. After his great performance Australia Scored 604/7 (dec) from 157 over in the 1st Innings day 2.